Weymouth boasts a number of unique attractions nearby: Chesil Beach, the Tank Museum and perhaps the most unusual of all, Abbotsbury Swannery. It’s the only managed colony of mute swans in the world. 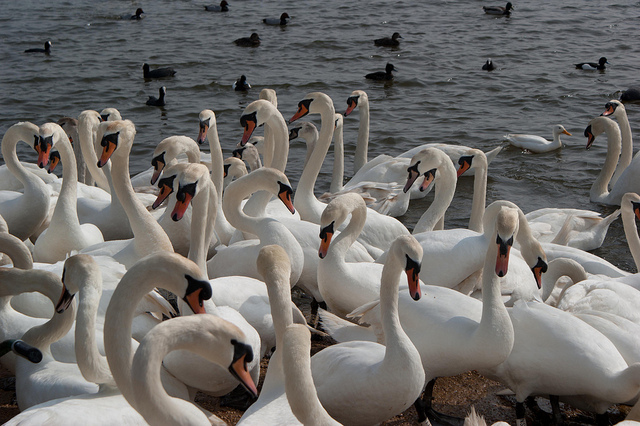 You’re probably used to seeing a few swans on a local river or lake – here there are hundreds. While it’s a managed environment, the birds are free to come and go as they please – it’s a sanctuary, not a zoo. Swans have been managed here for hundreds of years. 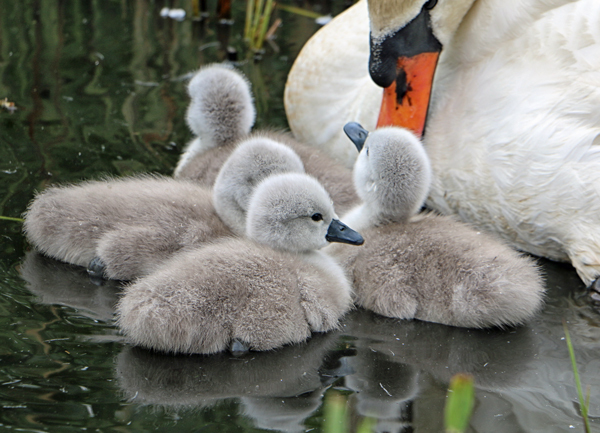 The most interesting time to see the swans is in late spring, May and June, when there are ‘ugly ducklings’ – baby swans or cygnets – everywhere. You can get incredibly close to the birds, with some building their nests on the footpaths. Even outside the egg-hatching season, there’s plenty to keep your interest at Abbotsbury Swannery. Every day the birds at fed at noon and 4pm and visitors, particularly children, are given the chance to get involved. There’s a informative commentary that explains about the swannery and the swans themselves. While the swans are the stars of this Dorset attraction, there’s lots more to see. A network of paths lets you explore and discover different aspects of life beside the Fleet, the unique body of water that’s home to the swans. You’ll find the reconstruction of a duck decoy, artifacts for the area’s rural past and a prototype bouncing bomb from the Second World War. The swannery also boasts a large maze (swan-shaped, of course), and during the peak season, there are pedal go-karts, a straw bale play area and birds of prey demonstrations. Harry Potter fans might recognise the reed beds that surround the swannery. They were a location for filming some of the scenes around the home of the Weasley’s. 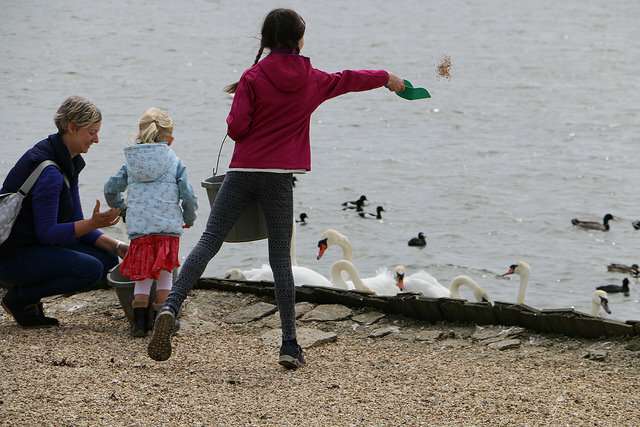 You can park for free in the Abbotsbury Swannery car park, from where you can access the toilets, cafe with play ground and the path to Abbotsbury Children’s Farm. It’s also a great place to pick up the South West Coast Path and walk towards Weymouth. Bird-watchers will find plenty to see at Abbotsbury beyond swans. Up to 300 different species of bird have been spotted around the swannery. If you plan to visit Abbotsbury Swannery, it’s worth considering the joint ticket that also gets you into Abbotsbury Children’s Farm and Abbotsbury Subtropical Gardens.